With a 50% success rate, the AHRC Network Scheme is one of the best ways to secure external funding for your research. Do you have an idea that could be submitted to the scheme? This masterclass looks at the programme in detail and will help take your research proposal from concept to final submission. 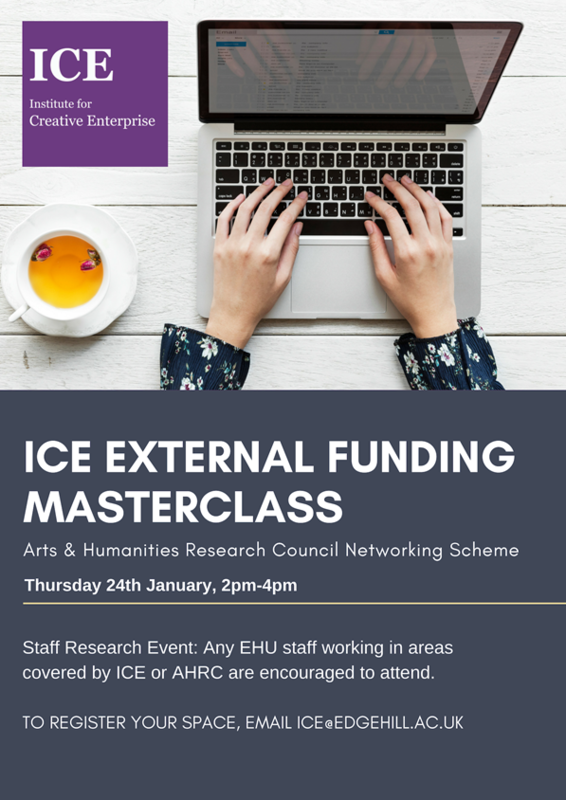 Anyone working in any of the areas that are covered by ICE or AHRC are encouraged to attend. The session will be run by Institute Director, Professor Martin McQuillan and Research Projects Manager, Jenny Lawson.